NOTICE: SLRP Applications are continuously accepted. Delaware has operated a State Loan Repayment Program (SLRP) since 2000 under the directions of the Executive Office of the Governor and the Department of Health and Social Services (DHSS). The Delaware Health Care Commission (DHCC) serves as the lead administrative entity for the program and collaborates heavily with the U.S. Department of Health Resources and Services Administration (HRSA) and the National Health Services Corps. (NHSC) to establish program parameters and guidelines. This program is supported by the Health Resources and Services Administration (HRSA) of the U.S. Department of Health and Human Services (HHS) as part of an award totaling $225,000 with 50% percentage financed with nongovernmental sources. The contents are those of the author(s) and do not necessarily represent the official views of, nor an endorsement, by HRSA, HHS or the U.S. Government. SLRP strives to create healthier communities by recruiting and retaining quality health care professionals to practice in rural and urban settings designated as Health Professional Shortage Areas (HPSAs). The program offers financial assistance up to $100,000 for verifiable educational loans to qualified dental, behavioral/mental health, and primary care professionals for a minimum of two (2) consecutive years of full-time (40 hours per week) or half-time (20-39 hours per week) service in shortage areas across the State. Note: SLRP awards are a subsidy to national prevailing wages offered by employers in Delaware, not a replacement. According to the America's Health Rankings Report (AHRR), Delaware is ranked 31st in overall health compared to other States nationally, moving up ten places since the implementation of SLRP. There are no exceptions regarding loan eligibility and debt amount. Applicants must provide sufficient documentation/information proving loan eligibility for application consideration and to advance through the review process. Loan balances must be verified by lending institutions as eligible debt in Part C - Loan Verification Form of the application, on or before the application deadline. Lenders must send all verified documents to the contact information provided. Consolidated educational loans must be verified as educational debt on application Part C - Loan Verification Form and submitted to Delaware Health Care Commission for review and/or consideration. Program awards will not be issued based on financial need. Therefore, the amount of debt bares minimal consequences to the award amounts. Dental and medical professionals with advanced or mid-level degrees are eligible to apply for Delaware State Loan Repayment Program (SLRP) awards ranging from $30,000 to $100,000. Each applicant must commit to two (2) years of full-time employment in a federally designated Health Professional Shortage Area (HPSA). Applicants already employed for several years by a qualified practice site must complete an additional two years of service under SLRP contractual obligations. This program does not award credit for time already served. Previously awarded participants pursuing continuing contracts for a third and/or fourth year, are required to submit new applications on or before the award cycle ends. Awardees must complete one contract before reapplying for another. Delaware Health Care Commission (DHCC) continuously accepts applications. However, there are application deadlines in which awards are issued; March and September. Applicants must submit one (1) complete application packet to Delaware Health Care Commission (DHCC) on or before the next upcoming application deadline. Each packet must consist of the completed Part A: Practice Site Application Form, Part B: Health Professional Application Form, and Part C: Loan Verification Form. Ensure all sections are completed in its entirety (including signature) before submitting for final review. Tip: Interested applicants are encouraged to submit applications at least three (3) weeks before the application deadline to ensure completed packets are received by DHCC for review. Pay special attention to the requirements of Part C - Loan Information and Verification Form, Sections I-III. Ensure relevant signatures are obtained and the original notarized form is submitted directly to DHCC. 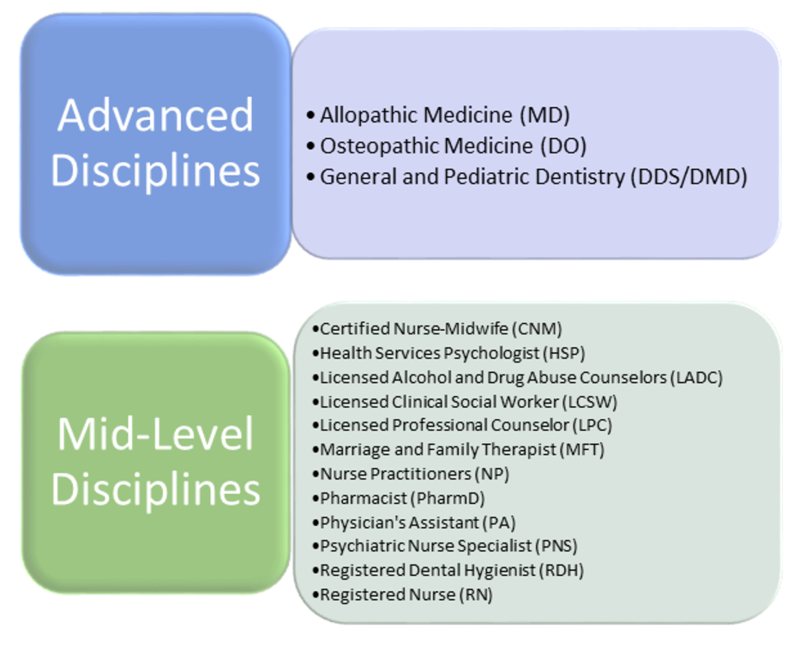 Meets Qualifications - awards in the mid-level category are funded up to $30,000 and up to $70,000 in the advanced-level category. Exceeds Qualifications - awards in the mid-level category are funded up to $45,000 and up to $85,000 in the advanced-level category. Distinguished Qualifications - awards in the mid-level category are funded up to $60,000 and up to $100,000 in the advanced-level category. Program funds are sourced from the U.S. Department of Health Resources and Services Administration (HRSA) and requires a 1:1 match for every dollar awarded. The award amounts published, includes the matched amounts. For example, an award for $100,000 receives 50% funding from HRSA and the remaining 50% from the State or non-governmental entities. Based on the availability of funds, the State may provide matching funds through the Delaware Institute for Dental Education and Research (DIDER), Delaware Institute for Medical Education and Research (DIMER), or affiliated State agencies. Refer to the Program Guidelines for additional funding information or contact the Program Director. The 2018-2022 Program Guidelines State Loan Repayment Program (SLRP) Guidelines specifies how the program operates; eligibility guidelines for practitioners, educational loans, and practice sites; application procedures; program award levels; payment distribution formulae; breach of contract, suspensions, and terminations; and frequently asked questions. Applications will be prioritized based on Health Professional Shortage Area scores and identified provider needs. A qualitative evaluation will be conducted on each application to determine award categories; Meets Qualifications, Exceeds Qualifications and Distinguished Qualifications. Perspective applicants are encouraged to complete all sections of the application to receive full credit and maximize the amount awarded. Proof of a website's Non-Profit and Public status is verified by the Delaware Division of Corporations. If the information provided by the Division of Corporations does not corroborate with the application submitted, an email will be generated to the Practice Site's authorizing administrator identified in the application. Awarded applicants and practice sites are monitored yearly through surveys and in-person site visits. Payments will be issued directly to qualify Lending Institutions after twelve (12) months of service. Fifty percent (50%) of the total awarded amount will distributed in the first year and the remaining 50% is distributed in the second year. Awardees must coordinate with DHCC to ensure Lending Institutions W-9 Forms are registered in the State's financial system. Failure to do so at the beginning of the contracting period may result in delayed payment disbursements. Continuing Contracts are awarded for Years Three (3) and Four (4) of the program. SLRP awardees who've completed the initial award commitment period, are encouraged to pursue continuing contracts for one (1) additional year of commitment in a designated HPSA, for up to two (2) years. New applications must be completed and submitted to DHCC for consideration in each award cycle following the end of an existing contract. All contracts are dependent on the availability of Federal and/or matching funds.